Of the many different genres in which I’ve dabbled, thrillers are the trickiest. From the mid-nineteenth century novels of Alexandre Dumas onwards there have been thriller rules established that remain in place today. The genre enjoyed a postwar heyday through Ian Fleming, but largely fell out of fashion (kept alive by Lee Child) until the boxset effect of streaming channels made thrillers ideal for long-form TV viewing. I’d played with various elements of the thriller for years, first with ‘Psychoville’, a twisted revenge plot with what I still consider to be my best ending. 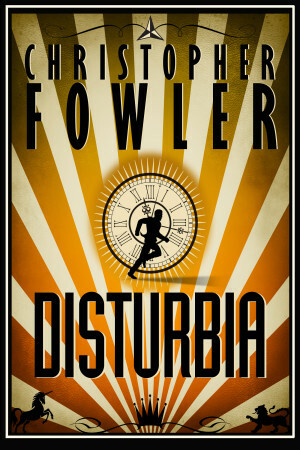 The closest I got to anything traditional, I suppose, was the novel ‘Disturbia’, in which two combatants challenged each other for the right to remain in London. 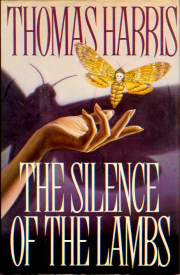 I wrote a script based on this book which was better than the novel, with a much stronger ending – sadly it was too late to reverse-engineer the novel and I moved on. When it came to writing ‘Little Boy Found’ (the title was the editor’s choice, not mine) I tried a new identity, LK Fox, and was persuaded to have it launched as an e-book first. Looking back with the knowledge of hindsight I can now see that this was a terrible idea, and that the book should have retained my name. It sold weakly and never received its promised paperback debut. It was a neat story, too; a boy stolen from the school gates, his two fathers attacked in the press, a young woman frantically searching for her baby, their fates tied together in a surprise denouement. So why put myself through it again? This year I had an idea on holiday that appealed. In thrillers, plots often become so convoluted that even the authors lose their way. This one was so simple that it left a lot of space around it for character development. The other damaging problem authors face is the trial-by-fire of getting it through the right editor. I find that the more I rewrite to suit the editor’s taste, the less it becomes my story, and the less interested I become in writing the book at all. I recently abandoned a half-finished novel because I could not make it what my editor wanted it to be. There’s no right or wrong in these clashes – it’s just part of the artistic process. I hate taking notes for novels, and would ideally sit down on day one at page one, writing from the beginning to the end without stopping. But I don’t have a concise or tidy mind, and a thriller requires concision. Critics always use certain words to describe thrillers; ‘tightly plotted’, ‘sharp’, ‘breathless’, and so on, implying there’s no fat, no wasted energy. In a thriller, lots of things happen and keep happening. The hero’s ability to make choices when negotiating these ‘things’ is what makes the tale tick. Already, though, I can feel myself wanting to divert the process and bring in new elements – so concision must now be my watchword. Out goes most of the humour and description. In comes suspense and action. Another problem; action is really boring to write. There aren’t many original ways of describing a fight. After a period of relentlessly moving characters around, fatigue sets in and you run out of stakes to raise. You also find yourself coming up short, pagewise, and these days every novel has to be fat (although read ‘Class Trip’ for a masterclass in tight writing). All of which should be enough to put me off, but I’m still going to have another go. I want to find out, what happens if you write a thriller that doesn’t have characters leaping on and off of trains and planes every ten minutes? I’ll give the plot three months of my time and see what I have at the end of that. If it still doesn’t work, I’ll trash it. I’m ahead of my schedule on Bryant & May, so why not give it a try? What’s the worst that can happen? Wobble to death, the first of Peter Lovesey’s books I read. (Wasn’t it a Sergeant Cribb story?). I borrowed it from the library and enjoyed it,so added the name to my list of authors to look for. More ideas,Chris? Good- keep writing please. I liked the LK Fox book. I saw the end before it came, but I was expecting something like that from you Mr F. There were other twists at the start and later that I didn’t foresee though. Others may differ, but when I read “thrillers” I tend to skip the relentless “being chased through the woods/grimy backstreets/endless floors of deserted warehouses” bits. I think it was the great Elmore Leonard (a “tight writer” if ever there was one) who said the secret of a good book is never to write the things that readers skip. Concision – such a perfect word. I think you do yourself a disservice here Mr Fowler. Your ‘action’ (chase) scenes in the Bryant and May books are excellent. “…these days every novel has to be fat..’ Why? An editor/publisher rule…economics of publishing? This reader no longer buys novels over 250 pages; too much text that a New Yorker editor would ruthlessly cull, redundant paragraphs, action with no relation to plot, too much TV drama stuff. imo writing beginning to end might be better for you; conciseness comes later–in structuring so there is enough clarity without losing the energy. The kind of thriller I miss tended to have a three word title (“The Zoidberg Legacy”) and featured a hero in a fisherman’s sweater with five o’clock shadow and a violent past he manfully doesn’t discuss who has a girlfriend at least ten years younger than him (it seemed unremarkable at the time) and a plot featuring scuba-diving and Nazi gold. Covers would feature helicopters flying into the side of mountains, figures in crosshairs, and ingots with swastikas stamped into them. Large amounts of whisky are consumed and characters smoke so much as to be barely visible to each other. On the other hand maybe I don’t miss them that much after all. Jo W – Wobble to death is indeed a Sergeant Cribb story. I stumbled across it last year, loved it, and subsequently bought all the others (cheaply) on kindle. 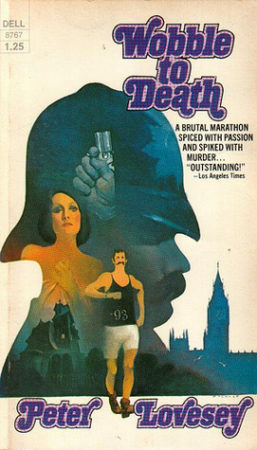 I’ve since found out that there was a TV series based on the books in the 70s (before my time) – anyone know if they were any good? God, there’s a memory-jogger – I saw the TV series too. I think it was shot on tape, but it was pretty good. Adam – yes, I am old enough to have seen the tv series too, and that was what led me to the books. The tv version was very good for its time but I can’t recall the names of the actors who played Cribb and his constable. Anybody? …and shouldn’t it have been The Navarone Guns? 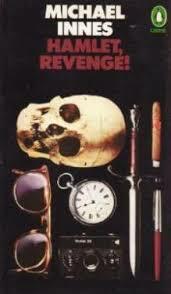 I enjoyed thrillers with those sorts of covers! I thought I’d grown out of them, but I reread Gavin Lyall’s “The Most Dangerous Game’ recently and loved it. Good luck with the thriller writing, must be tough trying to write starkly when your natural tendency is to enjoy exploring character and situation. Don’t forget to have your leading man shake his head to clear it at least once upon waking or being punched. Splashing water on your face works almost as well as head-shaking, even if you’ve been awake for three days. The TV show ‘Cribb’ was indeed of excellent quality. My parents were fans, and I became one too. I’m sure it’s out on DVD/BluRay or whatever. It had similar production values as the wonderful Jeremy Brett Sherlock Holmes series, if you need an idea of quality. I Have A New Book Out Today! What Can You Find For Under A Pound?